This incredible photo by Nir Ben-Yosef aka xnir—an Israeli photographer who specializes in aviation and air-to-air photography and production—may look really scary. 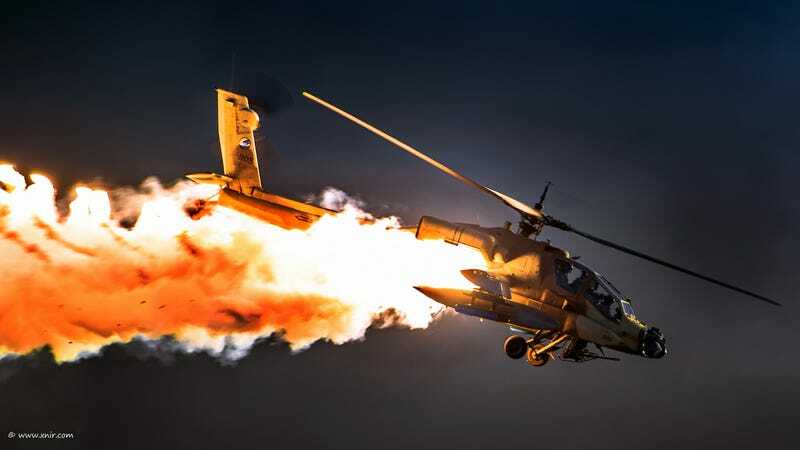 But fear not, because this AH-64A Apache is not going down in flames. It's just releasing flares to show off.